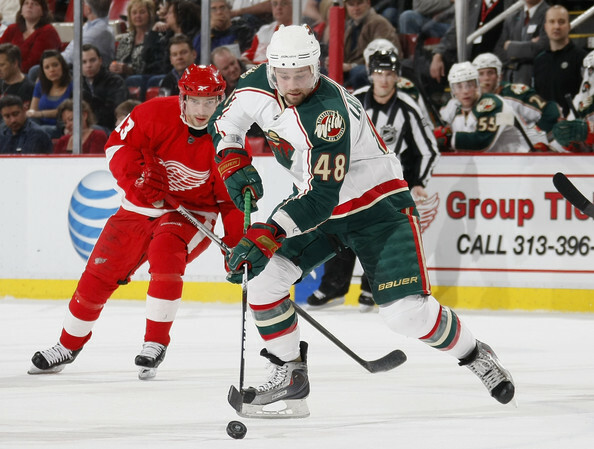 Are the new-look Wild good enough to make the playoffs? The Minnesota Wild have had a busy off-season. First, they traded Martin Havlat away for Dany Heatley, and then dealt Devin Setoguchi or Brent Burns. The Wild now boast a decent amount of skill up front with Koivu, Heatley, Setoguchi, Bouchard, Latendresse and Cullen, among others. But while their forward ranks have gained depth, their defence will have to accommodate the loss of their best all-around rear guard, Brent Burns. Nevertheless, Wild fans will have reason for optimism. Some newfound offensive flair will be welcomed in this state, and they do still boast a solid goaltender in Nicklas Backstrom. They’ll be competing in the deeper Western Conference, though their division is not especially strong. The Wild will be fighting for second place in the Northwest division, against Calgary, Edmonton and Colorado, and the winner of that battle will likely claim the 8th seed in the conference. It all likely depends on how their defence plays as a unit, and how much offense they can generate from their new line combinations. Forwards The Wild have an influx of talent, but will it vault them to the playoffs? 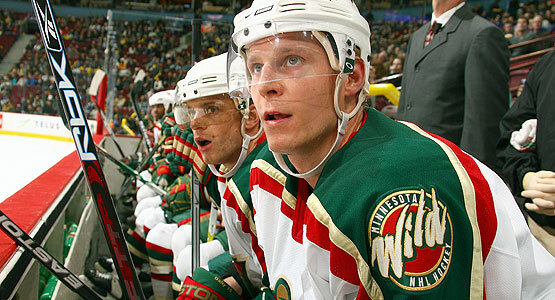 Koivu is the heart and soul of the Wild these days. He’s been their best player since Marian Gaborik left and is the engine that drives the offense. 80 points are within reach, especially if he builds chemistry with Heatley. Dany Heatley Heatley’s career has slowly declined since his glory days in Ottawa. Criticized rather widely in San Jose for declining production, his trade signifies what he hopes to be a new beginning. He’s too talented to continue to decline, 30 goals and 70 points should be a lock. Pierre-Marc Bouchard The crafty playmaker returned from injury and showed that he still has what it takes to compete in the NHL. This year, look for him to improve upon his numbers, especially with a decent supporting cast. 50 points are within reach. Guillaume Latendresse The big winger had success after departing Montreal, but when injury struck last year, he missed most of the season and was never really the same. This year, expect a rebound, and perhaps a plum spot on the top line, or second line with a playmaker like Bouchard. 55 points are a possibility. Devin Setoguchi Setoguchi has never been the same player since his opening season. That being said, he did have hot streaks last year that suggested better things may be on the horizon. For now, expect a 45-50 point campaign and be happy with it. Matt Cullen Cullen is one of those nice, versatile forwards that can play the point on the power-play and supplement talented forwards. 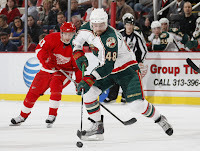 He can predictably tally 40+ points each year, and this year with the Wild should be no different. Cal Clutterbuck The pesky Clutterbuck posted solid totals last season and brought his unique blend of physicality and skill. Leading the NHL in hits the past few seasons is great, but he has a legitimate shot at 20 goals this year. Kyle Brodziak Brodziak is a big and versatile player who recorded career highs in points last year. His 37 points may be his high water mark, but it is possible for him to score 30-35 points this season if he winds up on one of the top two lines when injury strikes. Marek Zidlicky One of the better offensive defenders in the league succumbed to injury for half of last season. Now, with the departure of Brent Burns, Zidlicky will be relied upon to produce even more offence. 40-50 points are within reach, especially with all the power play time he’s due to receive. Marco Scandella A two way blueliner with plenty of potential, Scandella looks to make the team full-time this season, and could see some time on the second power play unit if all goes well. Niklas Backstrom Backstrom struggled mightily down the stretch last year but he’s still a very solid netminder, and he should rebound well this season. 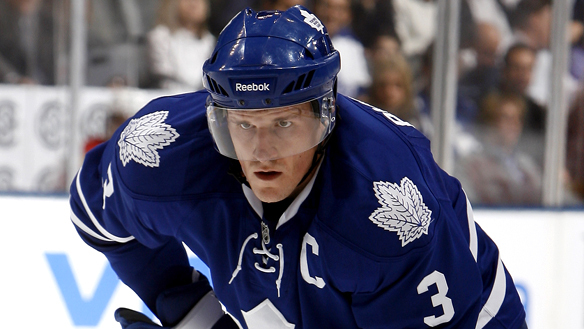 The team may lack defensive prowess so shutouts may be at a premium, but he’ll get his wins. Josh Harding Harding missed all of last season with an injury, but is expected to rebound this year and support Backstrom whenever needed. He should see 20 games this year, and if all goes well, about 8-10 wins. P-M Bouchard With 32 points in his final 45 games, Bouchard really picked it up late in the year. Returning after missing an entire season due to a concussion, he slowly picked up his game and earned some decent point totals. This season, expect Bouchard to tally up to 60 points, mostly assists, and record a lot of power play points and shoot out goals as well. D– Marco Scandella Scandella acquitted himself well last season in his brief stint with the club. This season, he will look for a more permanent role, logging more minutes, and even cashing in on some opportunities on the power play. Zidlicky and Cullen and perhaps even Bouchard may occupy the points, but Scandella may be used as an effective option if the need arises. Latendresse recorded 6 points in 11 games last year, but remember he tallied 25 goals in 55 games the year before. That puts him on nearly a 40 goal pace. Sure, it was only a half season, but he’s listed at 6’2”, 240lbs and would be an ideal linemate for either Heatley and Koivu, or Bouchard on the second line. If you are looking for a winger to generate some goals, this is your man. Latendresse is not a big PIM guy, but he should post decent goal and point totals this season. Draft him before someone else does.